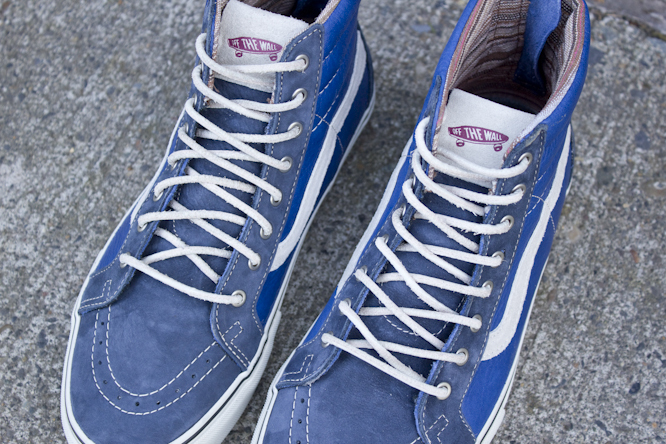 Vans Vault drops a premium version of the Sk8-Hi featuring premium leather and a zip modification at the heel. 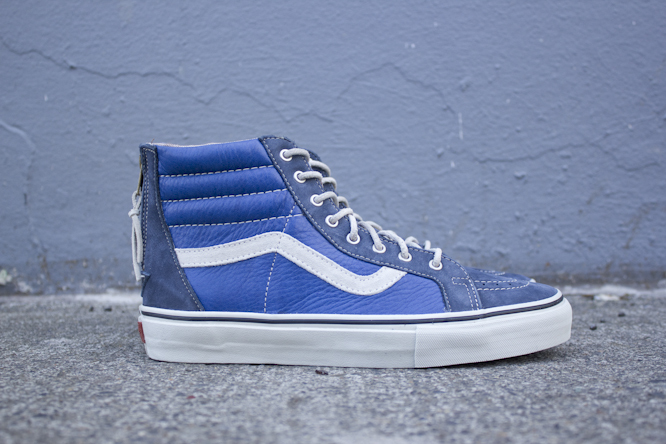 Vans Vault dropped a premium version of the Sk8-Hi this week, featuring premium leather and a zip modification at the heel. 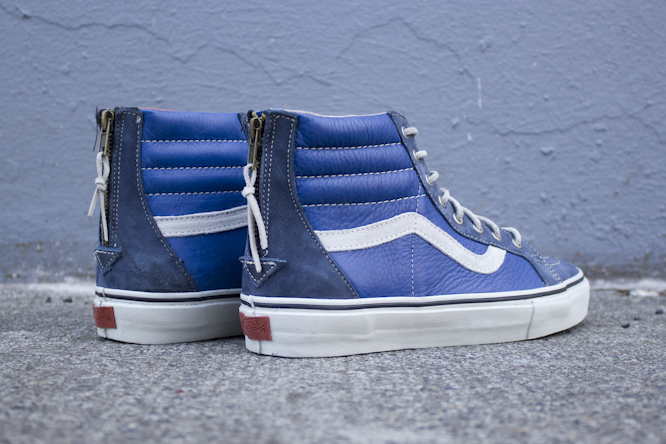 The Vans Vault Sk8-Hi Zip LX utilizes a premium full-grain leather and suede upper, along with leather laces and zipper pulls. 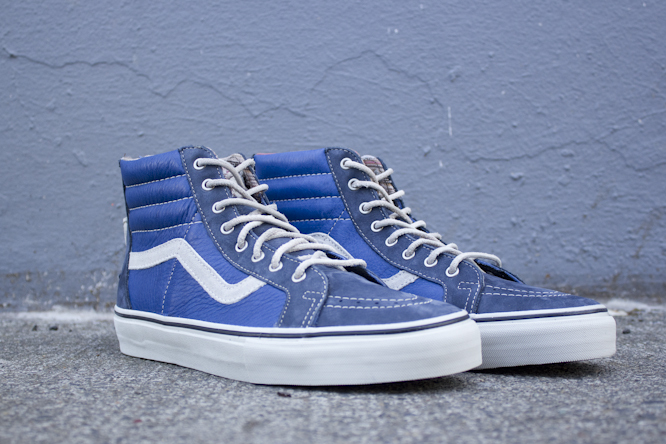 A white vulcanized sole and contrast stitching provide balance for this great looking shoe. 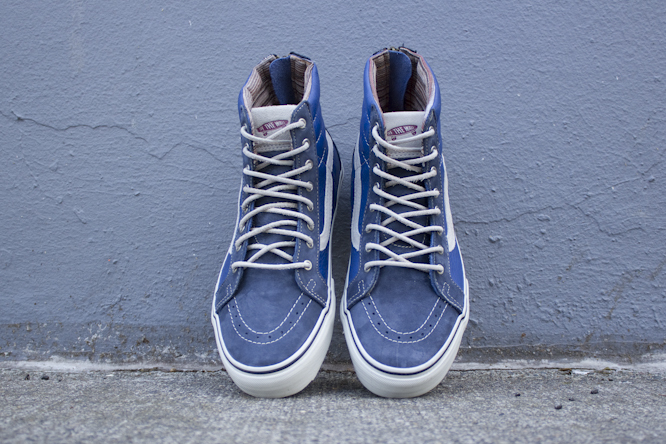 The Vans Vault Sk8-Hi Zip LX is available now at Vans Vault accounts, including Compound.